Of all the hikes on Kauai, the 11-mile Kalalau Trail is undoubtedly the most popular -- so much so that advance reservations are always required. There is something special about the word "Hawaii." It rolls off the tongue and, over the course of only three syllables, conjures visions of palm trees, long beaches and greener-than-green hills. Just speaking the phrase "I'm going to Hawaii" is a life-long dream for many. For most, that is enough. Of the eight major Hawaiian Islands, six are openly accessible to tourists. Only four, however, are regularly frequented by most Hawaii visitors. Whereas Maui, Kauai, Oahu, and Hawaii (commonly known as the "Big Island") all see millions of visitors annually, the islands of Lanai and Molokai see only 50,000-75,000. Of the two inaccessible islands, Kaho'olawe--a former bombing range--is open only to volunteers, and Ni'ihau has been privately owned since 1864. Although all the islands fall under the veil of "tropical paradise", each island has its own unique set of quirks and qualities which makes it appealing to a certain type of visitor. If shopping is your priority, you're better off heading to Oahu than Molokai. For empty beaches, reverse it. Here's our guide to planning a Hawaiian island hopping trip. The four main islands all offer flights to the US Mainland as well as a handful of international destinations, and flying time is five hours from anywhere on the west coast. To hop between the islands you will need to take a commuter airline (Hawaiian, Go!, Island Air, or Mokulele) on flights which range from 20-50 minutes. In addition to commercial airlines there are a handful of private companies which arrange inter-island tours. Molokai and Lanai can be reached by ferry from neighboring Maui, although getting there by from any other island will require a short flight. There are no ferries running between any of the other islands. Photo credit: H Dragon via Flickr. 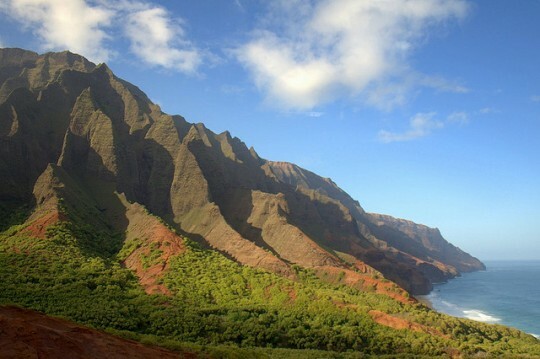 Kauai is the oldest of the main Hawaiian Islands and is consequently the most eroded. Five million years of staving off wind, rain, and waves has riddled the island with deep canyons and dramatic ridgelines. Of all the hikes on Kauai, the 11-mile Kalalau Trail is undoubtedly the most popular -- so much so that advance reservations are always required. Those lucky enough to procure a permit are treated to a narrow, winding track which bends its way around towering cliffs before reaching its terminus at a secluded sandy beach. Or, if Kalalau isn't in this trip's itinerary, other outings such as kayaking the Wailua River, hiking into Waimea Canyon, surfing Hanalei Bay, or stand-up paddling the Hanalei River all offer outdoor excitement in one of the world's most scenic locations. Once you've worked up a sweat on Kauai, hop on over to the Big Island for world-class scuba diving, deep-sea fishing, and active volcano trekking. Not only is the Kona coastline known for some of the best sportfishing in the state (1,000 lb. marlins are everyone's goal), it also offers scuba divers the rare opportunity to go night diving with dozens of wild manta rays. Gathering around an underwater "cleaning station", mantas with wingspans measuring up to 15 ft. offer divers an aquatic experience regarded as one of the top in the state. Meanwhile, over on the east side of the island, Madame Pele (the Hawaiian volcano Goddess) has been spewing lava out of Kilauea Crater continuously since 1983. The result is an enchanting network of trails within Hawaii Volcanoes National Park which range from lava tubes dripping in lush foliage to cinder cones which vent steam from their active base. If your itinerary and budget allows, consider fortifying your adventure with a stopover in Molokai. 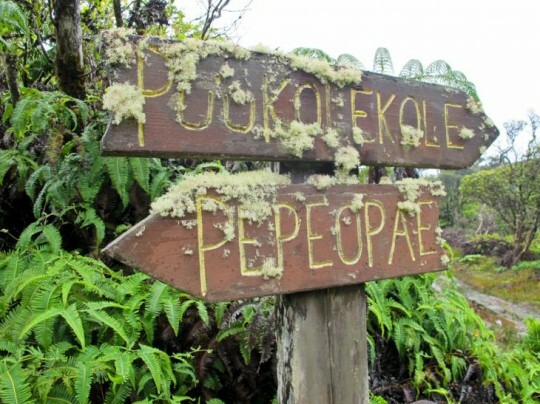 The Molokai Forest Reserve is home to 219 plant species found nowhere else in the world, and within this mountaintop cloud forest there's an entire network of hiking and mountain biking trails where you're pretty much assured of being the only person there. Also, Moku Ho'oniki rock is home to a scalloped hammerhead colony which makes for an exciting--if not heart-racing--scuba dive. How to Get There: Fly in to Lihue (Kauai) from the mainland and use commuter airlines to travel between the islands. Most flights on this itinerary will need to make a stopover in Honolulu, particularly if you're planning to stop in Molokai. Consider booking an open jaw ticket in which you fly in to Kauai and out of the Big Island and thereby only need to purchase one-way tickets between the islands. Seeing as Hawaii is one of only two states which was once its own independent country, there is a fascinating amount of history scattered across the islands. On Oahu visitors can spend time visiting two of the state's most important historical sites: Iolani Palace and Pearl Harbor. Whereas Pearl Harbor is well-known as the site of the Japanese bombing which drew America into World War II, lesser-known Iolani Palace is the site in which Queen Liliuokalani--the last monarch of the Hawaiian Kingdom--was forced into house arrest by a group of western businessmen who would eventually pave the way for American annexation. Reaching back even further into Hawaii's history, the Big Island of Hawaii is home to massive Pu'ukohola Heiau, the sacred site from which King Kamehameha began his march across the islands. One of Hawaii's largest remaining heiau--towering stone platforms upon which only the ruling chiefs (ali'i) and sacred priests (kahuna) could gather to commune with spirits and deities--Pu'ukohola was constructed in 1790 with stones hand-carried from far away valleys. Today it is listed as a National Historic site, and is not far from the windswept field where a simple plaque marks King Kamehameha's birthplace. About an hour south of Pu'ukohola, the Pu'uhonua o Honaunau National Historic Park recreates an ancient Hawaiian village which historically was used as a city of refuge. During the time of ancient Hawaii, anyone who broke the strict system of kapu--or taboo--could seek asylum in this refuge should they make it here undetected. An intriguing and authentic historical spot, the Pu'uhonua offers a bonus in that some of the island's best snorkeling is located right offshore. For those with a little more time in the islands, consider making a stop on Lanai while traveling from Oahu to the Big Island. Not only was Lanai once home to the world's largest pineapple plantation, but there are a number of ancient fishing villages and petroglyphs which lay scattered about the island. At the small, yet informative Lanai Culture and Heritage Center in Lanai City (the island's only town), hundreds of artifacts educate visitors on the history of Lanai as it moved from fishing to ranching and from pineapples to tourism. For those who prefer to see their history out in the field, some off-road driving and a bit of hiking will bring you to Kaunolu, an ancient Hawaiian fishing village which exists largely as it once was in the 14thcentury. 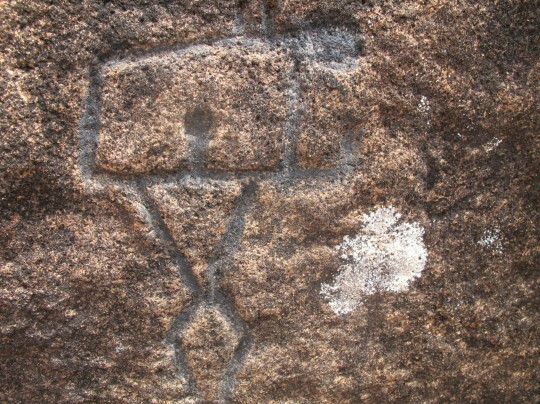 Here you can spot petroglyphs carved into rock faces at the base of Halulu heiau, a religious structure which still has rocks stacked over 30 feet high despite centuries of neglect. Nearby, a notch in the cliff face marks the point from which Kahekili--a former king of Maui--would bring his warriors to jump into the ocean as a means for proving their valor. 60 feet below, the waves continue to crash against the shoreline in the same way they have done for millennia. How to Get There: Fly into Honolulu International Airport (Oahu) and catch a commuter flight to Kona. If opting to stop in Lanai, purchase a roundtrip ticket from Honolulu to Lanai since you'll have to be rerouted through Honolulu anyway before continuing on to Kona. While a trip to Hawaii may be the trip of a lifetime for many, by including a couple of different islands in your itinerary you can fortify your tropical experience and get a well-rounded view of the 50th state. Who knows? You might just find one you can even call your favorite. Maui and Kauai are the perfect combination of adventure and relaxation, two characteristics which are intrinsic to most honeymoons. 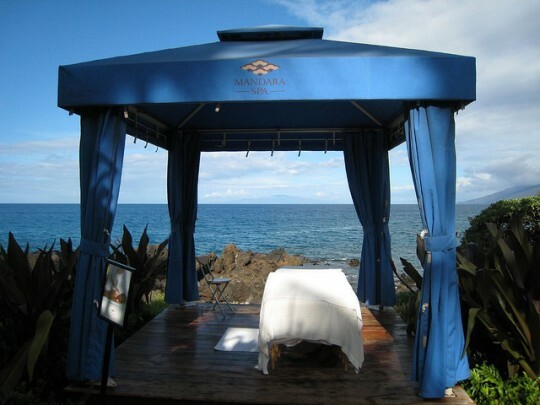 On Maui, you can take a zipline or a helicopter ride one day and spend the next simply pampering yourself in the hotel spa. Wake up the following day and do nothing but lounge by the pool, and then spend the late afternoon toasting your new love aboard a sunset cruise. Those honeymooning between December and April can hop aboard a whale watching cruise during the day before sharing a romantic table for two as the sun drifts behind a lazy palm. In Maui, honeymooners are blissfully ensconced in their active, yet relaxing sliver of paradise, a reality which renders the island as one of the most popular honeymoon destinations in the world. Much of the same can be said for Kauai, where a day that began with a catamaran cruise along the Na Pali coast can finish at a resort luau or with a moonlit walk on the beach. The resort-loving crowd will love the lavish properties lining the island's south and east shores, whereas those looking for a private retreat can book a jungle bungalow on the island's lush--though occasionally wet--north shore. For those with time to spare, consider spending a couple of days on Lanai before moving from Maui to Kauai. Despite a population of only 3,300 residents Lanai boasts two of the nicest resorts in the state, and just like Maui and Kauai, Lanai can either be an outdoor playground or the pinnacle of relaxation. Lanai honeymooners can opt to either off-road to deserted white sand beaches or, if it's been a hectic couple of days, simply sit back on the lawn of the resort and partake in a massage which is calmingly punctuated by the sound of crashing waves. How to Get There: Fly into Kahului airport (Maui) and use a commuter airline to travel between Maui and Kauai. Or, if including Lanai, take the ferry from Maui to Lanai and then catch a flight from Lanai to Kauai (where you will need to change planes in Honolulu). Consider booking an open jaw ticket in which you fly into Maui and out of the Kauai and thereby only need to purchase one-way tickets between the islands. Planning a trip? 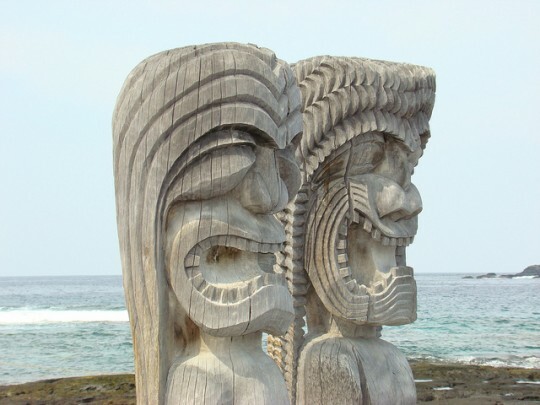 Browse Viator's Inter-island trips from Oahu and Inter-island trips from Maui, plus Hawaii tours and things to do, Hawaii attractions, and Hawaii recommendations, or book a private guide in Hawaii for a customized tour!